So, what is Just Cause 2 about? Its all given in the game cover itself. Yes, the game is about dodging rockets, jumping on cars, annihilating armies, blowing stuff up, jumping of buildings and crap AND still making it home to watch the sun set. This game is like any other summer flick. It basically has gunfights, explosions and car chases. Its a good game to pass your time when you are bored. And when you want to blow up stuff. Well, lets get to the story. Its about a Latin dude called Rico Rodriguez who works for an agency, creatively named, “The Agency”. He basically blows stuff up for them and America. The game is set in a fictional South-east Asian island nation of Panau. Panau’s new leader, Pandak Panay, has severed all ties with the US government. So its Rico’s job to remove him from office. Also, he supposed to track down a former Agency Agent who has seemingly gone rogue. Yea, thats the story. To me it sounds like the script of a really bad B movie. The game has really bad voice acting and script. It just reminds me of family comedies starring Arnold Schwarzenegger. But then again, this game can be truly fun if you want it to be. First of all, don’t expect any realism in the game. Rico can take an ungodly amount of bullets and explosions and still manage to trot to his car/bike/boat/plane (usually stolen). Also, you have an infinite amount of parachutes in the game. Yes, INFINITE PARACHUTES. This game clearly shows realism the proverbial “finger”. But still, these aspects of the game and the beautifully rendered environment are what make Just Cause 2 special. I mean, you see drive by’s and car to car battles in almost every free-roaming action game nowadays. But only in this game you can actually jump ONTO a bad guys car and teach him some manners. And by teaching manners, i just don’t mean pumping him with 70 bullets or something. No my friend, you can a lot more. For example, you can tether the entire vehicle into the ground! Or plant a C4 on the car and jump onto another car! Or hell, just jump of a bridge! Its a real sight to watch cars flying, explosions and flying exploding cars! Getting used to the controls might take a while, but once you do get used to them….My oh my! The game just gets EPIC! The possibilities in this game are limitless! You can do almost anything! You can sky-jack planes, tow people down the street, tow a freaking helicopter across the sky using a jet, “drive” a boat down a cliff, whip people to death and whatnot! The only limit is your imagination! And do you know how you unlock new missions? YOU BLOW UP STUFF! Admit it. You always wanted to do that! Another appealing part of the game is the environment. Panau is a BEAUTIFUL island! Its got everything from lush green rainforest’s to scorching deserts to scenic alpine terrains. The water effects, the sunsets, the rain. Everything just seems amazing! Also, this island is HUGE! It will take you weeks, maybe months to uncover all the locations on the map. This, combined with the magnificent environment makes exploration in the game a real treat. Another aspect of the game that will keep you hooked is the realistic vehicle damage and the rag doll effects. You experiment with weird and random stuff in this game for hours. Right now, i am trying to drive a car of a cliff and tether it to the cliff-face, without the vehicle blowing up obviously. 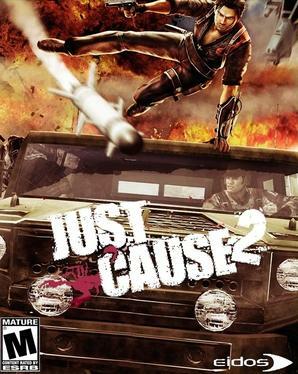 Just Cause 2 is a game in which your imagination is the only limit. You can practically do anything you want in this game. From bringing down statues with a scooter to riding an oxygen tank to the sky, this game is the closest you can get to be Rajnikanth. But this “Rajnikanthism” is what makes it special. The impressive graphics and action sequences will keep you hooked onto the game. I mean, which game allows you to strap C4 onto missiles while they are flying through the air? The only downside of the game is its story line. Besides that, this game is just plain awesome! Yea….about that….its just like some really bad B grade movie. The script is boring, repetitive and really really corny. Minus the cut-scenes, this game is a visual spectacle! You will never get tired of the beautifully rendered island of Panau. 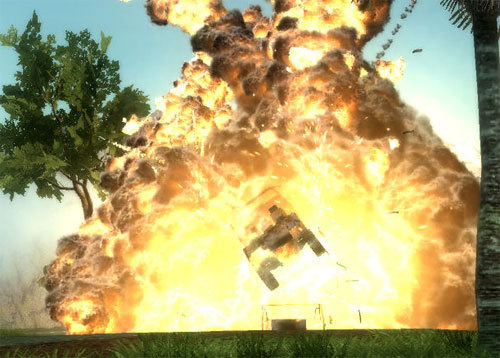 Also, the explosions and other action sequences of the game will surely blow you away! Gameplay is fun as hell! I mean, you get to blow stuff up for christ’s sake! The question is not “What can i do in this game?” It is “What can’t i do in this game?” Keys may take a while to get used to, but its fun nonetheless. Again, ignoring the horrible voice-acting, the sound in the game is quite impressive. Explosions heard from a distance just sound epic! Just Cause 2 is a riot! It is one game that never fails to bore you. The gargantuan island will take unnatural hours to fully explore. Also, the replayability is off the charts! Technically, to replay a game, you need to finish it. And that may take quite a while with Just Cause 2. But still, this game offers easily over 200 hours of gameplay. The graphics and gameplay mechanics keep you hooked to the game for so long that you lose a sense of time (been there). 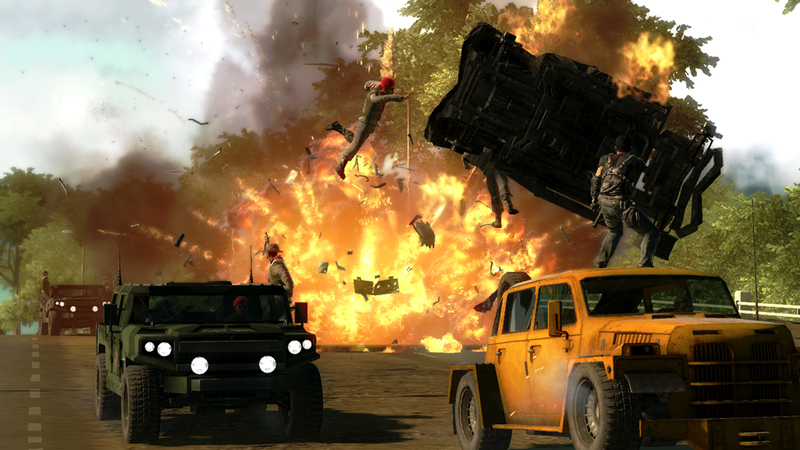 Ignoring the story and cut-scenes, Just Cause 2 is one of the best free-roam games to hit the market! One of the most anticipated game of the year; Dead Island doesn’t exactly live up to its hype, but nonetheless provides satisfying and entertaining experience. One of the very first things you will notice about the game is its similarities with games such as Left 4 Dead, Dead Rising and Fallout. In a way, it combines the best of all those games and gives us a decent package. When I started the game, I was greeted with a catchy soundtrack contradicted by a rather shoddy cut scene. Nevertheless, once the actual game started, I was truly blown away; definitely not by the visuals, but by the feel. 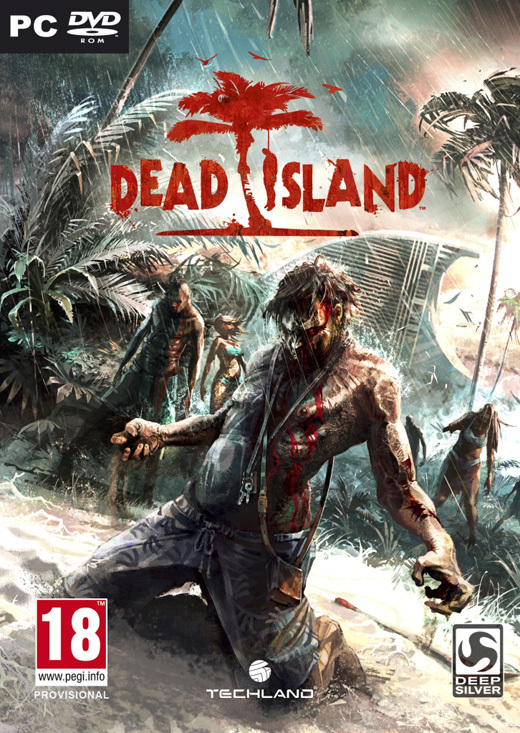 The game is set in an island…sorry an island of colossal size (thank you Fallout) off the coast of Papua New Guinea where the dead are the as common as coconut trees in Kerala. And when I say dead, I don’t mean the regular dead that cease to exist after their demise; I mean the living dead, whose sole-purpose is to make the lives of us regular living people a nightmare. The game starts with you being asked to choose one of the four available characters. Each of characters has their own unique strengths and weaknesses and also a special area of expertise. Once you are done with the character selection, you begin a 30-odd-hour journey of survival and gore (oh yea, lots and lots of gore). Although the gore might seem to be a highlight of the game, it isn’t. As I mentioned above, the overall realistic feel you get when you play the game is what makes Dead Island special. Special commendation should be given to the sound and the spontaneity of the game. You see, the eerie dead atmosphere with screams of the living dead coming from yonder adds to the immense realism of the game. Also, the dead appear from anywhere and I literally mean anywhere. This adds a sense of fear throughout the game as you never know when you’ll jumped by a zombie clad in shorts. Unlike its counterparts, Dead Island has a very realistic stamina system. In short, there is a limit to how far you can outrun a horde of the living dead or a limit to how much damage you can deal to a foe. This system makes sure you don’t go flailing around like a madman (although, that’s what I love to do- which results in an untimely demise of my character). This feature gives rise to very realistic gameplay. In the beginning, I was randomly beating up anyone I came across just for the fun of it. However, as the game progressed and got harder, the word survival kept ringing in my head. I learned (usually the hard way) that I can’t punch my way through 20 undead and expect to reach the objective in one piece. Dead Island has a very convincing health system. There are med-kits to be used, but the most common way to regain energy is through eating food and drinking various beverages found scattered around the resort. Hence, a lot of attention should be given to the health bar as you won’t find a can of soda in the middle of a beach. 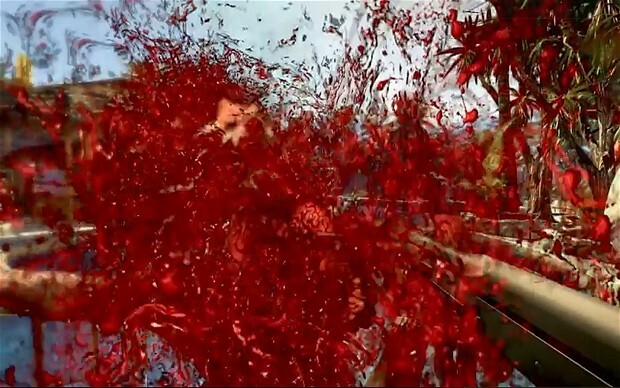 One of the most basic and fun aspect of Dead Island is the melee combat system. Truly, the decapitations never fail to entertain! However, there is only a certain limit to which a melee weapon can be used till it becomes unusable. This forces the player to make judicious use of weapons and look for stronger and more durable weapons. 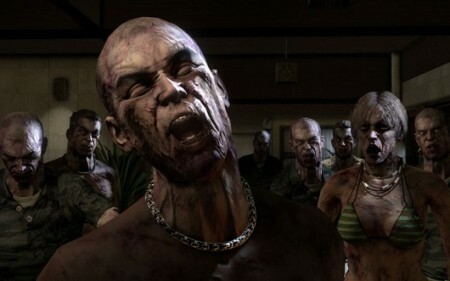 Standard weapons can be customized to various levels by using everyday items (thank you Dead Rising 2). An example would be, attaching a battery to a machete using duct tape and some wire gives you access your very own electro-blade! Hence, you electrocute and slice zombies at the same time! Now moving from the realistic to the unrealistic part; dying in this game never teaches you anything. The whole point of dying in a game is so that you learn from your mistakes. Usually, games make you play through an entire level again for dying. Although that can be frustrating at times, it does add to the challenge. Dying in Dead Island results in a 5 second time out and a little cash taken away from you. Also, whatever damage you dealt to the enemy before kicking the bucket remains. This makes the game fairly easy to beat. This however, doesn’t prevent you from running for your life when being chased in game as money is very precious in the game. Dead Island is a very personal game. It is not as personal as other Role-Playing Games, but it is satisfying. Every character can be modified based on the likes of the player. Each character has 3 skill trees which can be upgraded by spending experience points (which are gained by killing the undead). The three skills include offense skill tree, defense skill tree and a unique ability tree, which differs for each character. This and the realism in the game quite literally put you in the shoes of your character. This actually prevents you from doing stupid things like prancing into a crowd of zombies (unless you are suicidal by nature). To experience the game at its full potential, online play is a must. Up to four people can join up (thank you Left 4 Dead) and carry on with the main story. Thankfully, joining a game is easy. The game looks for the best game for you and connects you to it (after you agree that is). However, you are only allowed to join a game with players with that are leveled same as you or lower than you. This quite obvious as the higher the level of the character, the higher the level of the enemy. Obviously you can’t expect a level 12 to join a level 53 game and fight enemies 4 times his caliber. Dead Island is far from what it promised. The game has uneven visuals, very stiff cut scenes, texture and clipping issues and the controls and feel will take some time to get used too. However, the game provides you with a massive scope of exploration ranging from resorts, to a city and also a jungle. Combat might be edgy, but the results are amazingly satisfying. The sight of flying limbs and heads never gets boring in the game. Also, I believe the game gets full marks for its ambience. It’s eerie, it’s scary and it’s immersive. Dead Island may be far from perfect, but it sure has its moments. Story is quite cliché-ish and menus are quite dull; nothing out of the ordinary. Great looking game; amazingly detailed environment; sadly, uneven textures and clipping ruins the experience to some extent. A fun game to play; highly satisfying combat system; good, but uneven visuals; amazing sound and ambience; make sure good audio output devices are available; long campaign provides adequate gameplay time. I give the game an 8. This award-winning classic describes the everyday happenings of gangsters in the city of Los Angeles and the people affected by their “work”. The movie consists of four intertwining stories that beautifully illustrate the criminal scene of Los Angeles, in a dark yet humorous and satirical way. The movie shows us a glimpse of the lives of two veteran hitmen, the spoilt and pampered wife of a mob boss, an aging (yet tough) boxer and two petty criminals trying to make a quick buck. The stories, which seemingly look unrelated, slowly converge and fit perfectly to complete this masterpiece. It is not an unknown fact that Pulp Fiction is considered as one of the best movies ever made. This statement can be supported by referring to the rave reviews this movie got when it released and still gets even today. The movie is known for the then unique style of storytelling and the dark humor present throughout the film. The movie was also given thumbs up for its catchy soundtrack, its quirky and memorable characters, the scene transitions and its “colorful”, yet humorous script and the outstanding performances of the actors involved; especially Samuel L. Jackson. One of the things that I look out for in a movie is the story and the presentation. Pulp Fiction gets full marks in both these areas by me. Although the movie is quite trashy with the extreme display of gore, frequent drug use and very foul-mouthed characters, it somehow manages to connect with me. I like the movie for all the reasons mentioned in the paragraph above, but there is one more reason why the film clicked for me; the simplicity. You see a lot of movies using similar methods of storytelling which just end up confusing you in the end. However, this doesn’t happen in Pulp Fiction. The situations presented in the movie are quite random, but still it connects quite easily with the audience. For example, in one point of the film, the two hitmen are casually talking about hamburgers and one of them talks about his vacation in Europe. This conversation has nothing to do with the film’s storyline, but it is these moments that connect you to the film. It’s this casual simplicity that you share with your friends or family in real life that you find in Pulp Fiction. This simplicity is what made me like the movie. Pulp Fiction is an odd, random and a very unconventional film presented in a very cool and gritty way. The movie portrays the direst of situations in a very humorous and satirical manner. It is a well-known fact that Pulp Fiction is definitely one of the greatest films of the 90’s. This is quite obvious by looking at the massive fan following this movie has generated and how it has influenced the art of movie making and pop culture. Truly, from the beginning to the end, the movie keeps you immersed with its randomness and simplicity. 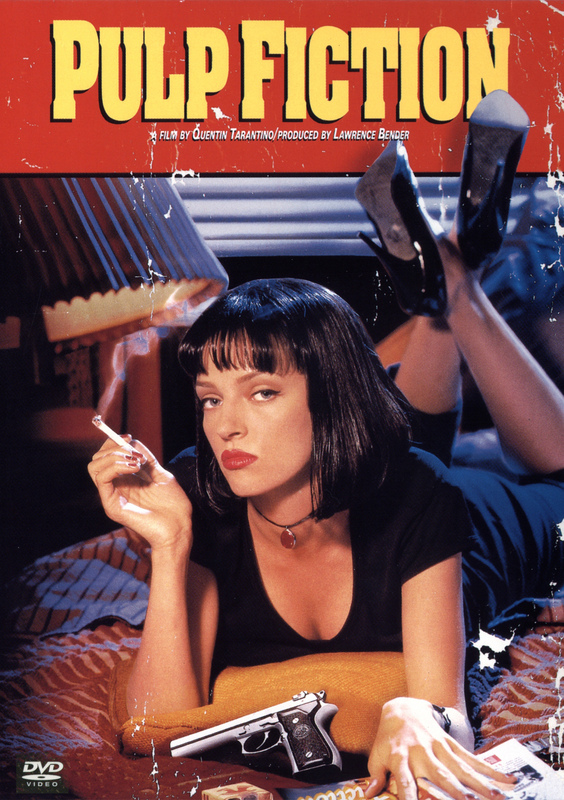 From foot massages to gunfights, from disco to bacon, Pulp Fiction has everything! Truly, it is a movie that never fails to entertain! And that's why we like Pulp Fiction! Gaming; everybody does it; everybody loves it; it’s as simple as that. What is the purpose of gaming? It’s the same purpose as that of a movie; or a book. It’s a medium of entertainment and also for an artist to express himself. I game because it transports me to another world, let’s me participate in unreal adventures, lets me live my dreams! However, the most important reason for me, and millions of other people worldwide, to take up gaming is because of the fun factor! Video games are plain fun! Even people who aren’t diehard gamers play video games for the fun element. Unfortunately, this is not the situation now. The gaming industry is slowly transforming into something what I term as an annoying prick. Even the best gaming studios in the industry are being consumed by a fiend named commercialization. Let’s head back a few years to the 90’s and the early aughts. Gaming was just beautiful. Pokemon was my personal favorite in the 90’s. So was Half-Life. These two games really set the standard during their days. The immersive gameplay, the wonderfully drawn environments and the innovative ideas and storylines are what made them classics! Also, many of the games released around 2000 to 2005 were and still are considered masterpieces. Games such as Deus Ex, World of Warcraft, the Sims series, the Grand Theft Auto series, God of War are some of the most memorable games of that era. All the three images shown here are from THREE different games. You see what I’m trying to say here? 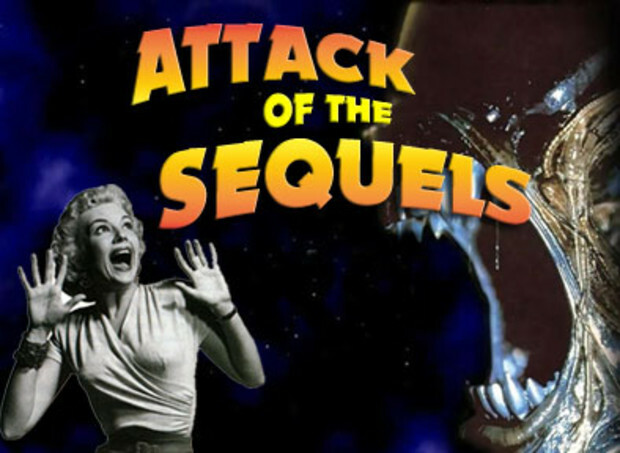 Video game companies “try” to justify this by releasing sequels. There are 8 Call of Duty games. 10 Tomb Raider games, 7 Halo games, 15 Need for Speed games and so on! You get what I’m trying to say? Why is this happening? Well, I believe the reason for this is the fear of experimentation. You see, it takes millions of dollars to make a game, and with that much money on the line, game developers are worried about profits. Hence, if they put a lot of money on a product that is completely new and innovative and if this product doesn’t deliver, there will be a massive loss for them. This fear of losing money is what I believe holds them back. “But Mr. Wordwarrior92, what is the solution for this problem we have?” you ask? Make games that are different! Sure the audience is demanding today! Sure the audience is hard to impress! But then, isn’t it their job to make games? Isn’t it their job to come with something creative? Something new? Imagine if John Carmack hadn’t created the Wolfenstein 3D engine! We would still be stuck playing Super Mario (which doesn’t seem like a bad idea after looking at the current state of the series) One more thing game developers forget nowadays is the freedom we look forward in a game. Make games more creative! Make us use our noodle more often! Look at Minecraft for example. This simple game provides a boundless environment for your creativity. It is a fairly simple game. None of that Call of Duty humbug is present, yet it is loved by gamers all over! Let’s get back to the money factor. Nowadays, game developers try to squeeze as much money as they can from us gamers. Take for example Battlefield: Bad Company 2. The game is known for its highly satisfying multiplayer mode. However, Battlefield released a gold edition of the same game. In that, you have to pay some extra cash in order to unlock new and more powerful weapons. In short, you pay Rs 2900 for the game PLUS pay more for features that are already present in the game. That is equivalent of buying a hamburger and paying extra for the paddy; truly, a sad state of affairs. Another thing the gaming industry is doing nowadays is creating their own mini monopolies. The best example for this would be Electronic Arts. 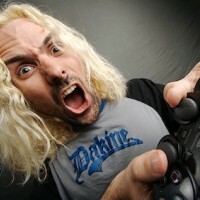 Considered one of the best gaming developers around for years and having created a number of brilliant games such as The Sims, Mass Effect, Dead Space etc., have gone a whole new low by hogging all the resources from other mainstream as well as indie developers. Electronic Arts sports division, EA Sports has been making some of the best sports game for a very long time. However, when their sales started dropping to rival companies, you know what they did? Nope, they didn’t work hard to improve on their follies. Oh no, they signed deals with sporting teams so that other developers couldn’t use them in their games. So, games from other studios wouldn’t let you play as your favorite sports personalities. Hence, they couldn’t further develop their games. This used to create a dead end for companies possessing a lot of potential. It has literally become the survival of the fittest scenario. Today, one of the most painful things a PC gamer will come across is “Games for Windows Live”. This is truly, one of the most annoying and the most painful software you will come across in the history of PC gaming. This software, which has been created in the deepest pits of programming hell itself, true purpose, is to prevent piracy amongst PC games. However, the ordeals this software puts you through forces you to do the exact opposite. Let me explain Games for Windows Live. This pain-in-the-neck software supposedly prevents piracy by constantly feeding your serial key (unique number found in the back of every game) to the Microsoft servers. This makes sure that you have the genuine copy of the game and results in you not being able to play your game if the serial key isn’t there on the server. Also, if you are not connected to their servers, you can’t even load your previous save game. To put shortly, no internet=no game. I have personally suffered the horrors of this software and I can vouch for the torment it puts you through. Gaming before "Games for Windows Live"
Gaming after "Gaming for Windows Live"
These are only SOME of the aspects I have touched upon which I believe are causing the gaming industry to go on a downward spiral. Truly, gaming has evolved from what it was before. Of course advancements in technology have made games more cutting-edge and entertaining, but sadly, I do not get the same satisfaction I used to get when I gamed back in early 2000’s. I hope this sad state of affairs ceases to continue in the near future, for gaming is what I truly loved, love and will continue to love! Everywhere we go, we see progress and we see change. Nowadays especially, there’s always something new, always something different. Sometimes it just seems like the world is in apathy; no one cares about what’s going on, about what’s happening. Sure, people know what’s happening in the world; they watch the news and read the newspaper in between their busy, hectic lives, but it is almost as if the enormity or the gravity of the situation does not seem to sink in. They just continue living how they used to live. They don’t seem to care about the injustice that’s going on in the world, and even if they do have some sympathy, they usually don’t seem to do anything to make a difference. Yet everyone complains, about how they think the world is full of injustices, and how so many horrible things are happening around the world. They all crave change; we all crave change. A world where there is peace and harmony, where on a regular basis innocent souls aren’t hurt; and human beings are truly humane. If we want to see a change in the world, then we have to start changing ourselves. Start with small changes, and surprisingly enough, these small changes will make the biggest differences in the world. Sometimes, when we’re down and blue, a really cheerful or happy person can really make a difference to our mood. Similarly, when a really angry person comes in and starts irritating us, we also get really irritated and start screaming at people, which spoils the mood of others as well. This is why people say that the world changes with us, because the world reacts to a person based on his/ her personality and character. So if we expect people to be happy and cheerful, shouldn’t we be that way too? An example would be; It is common to hear urban Indians complain about how their counterparts lack civic sense; how it is common to see their surroundings dirty and smelly. Yet, do they hesitate to throw their thrash outside? Do they make any attempt to clean up the mess? All we do is talk. We all know about the side effects of plastic on environment. Yet it takes a ban from the government/municipality that stops us from using it regularly. There are many ways by which we can make a difference and end the degradation of the environment. We have to take a personal stance and one day it will become a collective stance which will help save our earth. Be the change, and the change will follow. Its not a hardly surprising when people are judged for thinking differently, and criticized for fighting the system even when we know there are flaws in it. In India, when many years ago, societies expected women to behave in a certain way, which lead to certain practices being imposed on them. But certain people didn’t like that. Certain people stood up to the system. Certain people like Raja Ram Mohan Roy and Jyotibha Phule, really made a difference in India. They aren’t the only ones who strove for more or less equal rights for both men and women, but they made a big difference, influenced a lot of people and encouraged people to get up, and try to change the society. They were criticized and considered immoral or evil by society at that time. But did that stop them? No it didn’t. The biggest changes have taken place in the world when a few people raised their voices against the norms, and fought for equality. They may have been criticized and ridiculed at that point of time, but they believed in themselves and wanted to see a change in the world, which is why we still remember their names, and they are still admired. One person in recent times who has influenced the youth of our country is Anna Hazare. This man has almost single-handedly has taken on the institution of corruption and has whipped up a storm. When he started off, he had nothing but his own convictions. Today, Indians all around are rallying around him. We Indians were putting up with corruption at different levels silently for ages. Nobody did anything because they did not believe they could make a change. After Anna Hazare’s clarion call, the people have found a platform to express their anguish about the pathetic condition of our government. However, it doesn’t stop there. Each of us Indians must vow never to either accept or give bribes, to choose our representatives based on their merits and not choose them on the basis of their religion or caste. Then the change towards a “Shining India” will be inevitable. So we can see that one person, can truly make a difference in the world. But we have to learn to be the change that we want to see in the world. If we change ourselves, we can change the people around us, and they can in turn change the people around them, and before we know it, we’ve started off a chain reaction of change. If we want to see a change in the world; if we want to wake up to a brighter day, then we must continuously change ourselves, because personal change is the reflection of our inner growth and empowerment. Stop waiting for other people to get up and try and change the world, because if everyone behaved like that, we all would just spend our lives waiting. We need to be brave and follow our heart and stand up against the evils of the society. We owe it to our forefathers and to our future generations. The current state of the world is just saddening. Just tune into a news channel, it’s like a nightmare. People killing each other over religion, the planet is being destroyed, thousands dying of starvation, riots are becoming rampant, corruption has become the new “in” and the list goes on! However, this is no nightmare; this is our world, the world we live in. The world is filled with problems of every conceivable nature and they are only growing worse, and greater in number.Why is this happening? What is the cause of this instability in the world? I believe the real problem is us. We give our own personal interests the highest priority. We always look for a solution of a problem through perspective that is comfortable to us. Very rarely do we actually put our self in the other persons shoes. What is this “us” anyways? Isn’t it us human beings in general? Then when we look for our benefits, where does the problem arise? It arrives when we differentiate ourselves; differentiate ourselves based on color, caste, religion etc. It is because of this different uses of the word “us” that the world is the current pathetic state. People promote their religion saying “My religion is the true one. Everyone is equal. You are wrong because you don’t follow my religion.” That sentence just contradicts the one before that. Isn’t this going on around the world? The Holy War is what some people call it. “If you don’t follow my religion peacefully, violence is what you get.” Isn’t this in conflict of the most basic tenet of a religion? Peace? Our world is full of contradictions. On one side of the planet, people are starving to death. On the other side, people are wondering whether they should have Italian or Chinese cuisine for lunch. Look at the wars being waged for resources. By the time the war is done, half the resources are gone and so are the people. What is the point of all this? All this results in misery and chaos. These problems can be stopped if decide to put our differences aside and realize that we are all part of a community. This may sound very cliched, but that’s it folks. It is as simple as it gets. A man differs from a woman, but they are both humans. Humans differ from animals and plants, but they are all living beings. Living beings exist with non-living beings, but they are both part of the universe. Only when people see the bigger picture and broaden their perspective, will we attain peace. India is my home country. At least that’s what my passport tells me. However, reality begs to differ in this case. Yes, I definitely am an Indian. There is no doubt about that, but I have lived in India only for the first four years of my life. When I was five, my parents decided to move to Kuwait. Since then, I’ve considered Kuwait as my home. Life in Kuwait was a whole new experience for me. The weird inscriptions on the streets (Arabic) looked exotic. The long body-length shirts the men wore looked weird. I saw a camel for the first time. I had never seen such barren landscape before. Everything was so different. At first, I missed “home”. I missed my friends. I missed my school. I missed rain. Being new to the country, I was warned by mother not to wander away from the building compound. This I sincerely heeded as the country scared me. The lack of traffic in the streets, the lack of people in the streets, the lack of birds in the trees, the lack of trees! This was all too much!! But slowly, as time moved on, I began to embrace my new home. I got used to the setup. I picked up Arabic. I made Arab friends. I slowly began to lose touch of my true culture and began to embrace a foreign one. After living in Kuwait for 13 years, it was time I went back. My parents decided to send me to college in India, as it is economically feasible and since it’s my home country. I wasn’t too bothered about it. I had lived in Mumbai before the big move. Hence, I was under the impression of completing my under-graduation in Mumbai. I started brushing up my Marathi and thinking how sweet life would be! New friends, new experiences! A chance to start all over again. Then it hit me as hard as a brick. 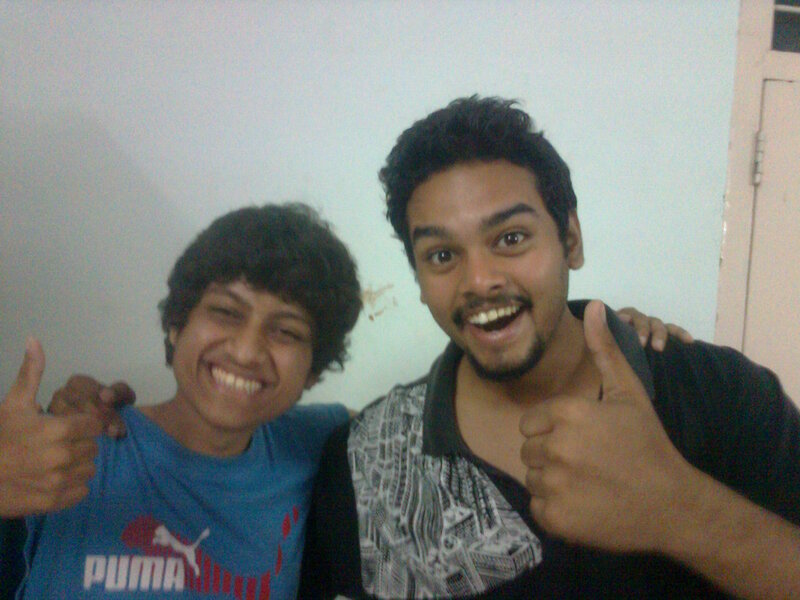 “You’re going to Coimbatore.” my dad told me. The fact that I was going to South India scared the daylights out of me. The place was completely alien to me. Sure I wanted new experiences and adventures, but not this new! I had never been to the South before. I didn’t know Malayalam or Tamil. My parents told me not to worry. My brother did his university there too. He managed. They believed I would pick up the languages in time, just like my brother. Little did they know that my brother had a thing for languages. Soon, I travelled with my dad to Coimbatore for academic reasons. At first, everything was fine. The South wasn’t too bad. It was a lot like Mumbai, minus the tall buildings and the Hindi speaking crowd. Before long, I began to think, “Hey, it’s pretty neat down here. Maybe this is just what I need!” With this thought in my mind, I happily went back to Kuwait. I had a very positive feel about Coimbatore and eagerly waited for the day I returned. I managed to gel with Kuwaiti life with ease as I was just five years old back then. I hadn’t been exposed to anything. This, however, was something totally different. I stared at tall trees with awe! Whenever I would see a hill, I would point and stare at it (Kuwait is nothing but a flat desert). When I saw a peacock crossing the road, I was lost! All the things that seemed normal to anyone who lived in India mesmerized me. People used to think I was nuts (some still do). Even now, if I walk down the street and see a squirrel, I stare at it till it runs out of my line of sight. All these small things captivate me. It has been a year since I moved to India. Even though language still is a problem for me, other things aren’t. I have got used to the wild (yet exciting) traffic of our country. I don’t scare away people as often as I used too (with my random hellos or bouts of Arabic). I have learnt to use public transport. I have learned to be Indian (in a way). Stranger in a Strange Land? Not anymore! Mahatma Gandhi rightfully said “Earth provides enough to satisfy every man’s need, but not every man’s greed”. 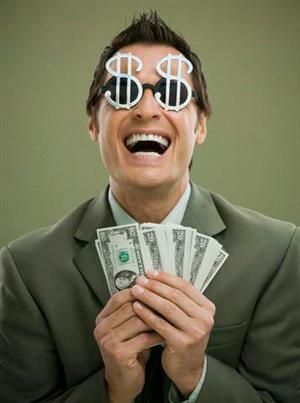 Greed is a quality of an individual that makes him/her take more than what they need. Greed is the source of selfishness, anger, hatred, jealousy and many other things. It is one of the major causes of suffering in our world. What is the cause of greed? That’s simple. It’s desire. Don’t get me wrong, it is all but natural for us to desire for things. It is excessive desire that causes greed to develop within us. Our insatiable nature is what leads to our downfall. When we get what we desire, we get a form of pleasure. This pleasure is what makes us desire for more! It’s like a never ending cycle. Also, another factor that makes us greedy is the belief that other people should not have more than us. Thus, we keep craving for more until we get more than the other person. The idea of “He might get it before I do” keeps playing in our head. Once we give ourselves to money or power, there is no turning back. It is like tasting a small piece of delicious cake and not asking for more. That is extremely difficult, if not impossible. Greed on a large scale can prove to be devastating. Look around you and the evidence will hit you in face. What do you think causes wars? What do you think causes these scams that we see popping out so often? What do you think causes corruption? Isn’t it the need to have more than you require? Why do you think wars are fought? Isn’t it obvious that they are fought for more land and resources? And the recent scams, why do you think they happen? Aren’t the people involved trying to make more money at the expense of others? It is quite evident; the need for more is the root cause of all the problems around us. It is an indisputable fact that greed can and does destroy us. So has all hope been lost? I don’t think so. Greed can be curbed. Although it can be difficult, it isn’t impossible. There are various ways to restrain ourselves from giving into greed. One of the most important methods is instilling the value of prioritization amongst us. It is impossible to have everything in life, then why aimlessly and greedily try to obtain it? We must learn to focus and prioritize what is a need and what is not. Instead of cribbing over things we don’t have, we should learn to be satisfied with the things we do have. More than that, we must also learn to give. Generosity is what the world needs. It is rightly said, it is more blessed to give than to receive. Incivility, rudeness and lack of etiquette are common occurrences in our daily lives. However, this has become more rampant in today’s world. Basic acts of kindness and courtesy have become myths. Everyone is so preoccupied with their lives that they forget to use simple words like “Thank You!” or “Please”. It is widely considered that these qualities are diminishing due to the ever-increasing challenges that we face in our day-to-day lives. Nevertheless, I believe that, this is a senseless excuse for the decline of good manners globally. Gone are the days when a person would hold the door open for a lady or offer their seat on the bus to the elderly. Traditional morals, values and basic manners have become a thing of the past in today’s dog-eat-dog society. Everyone wants to be respected nowadays. There is this idea that some people carry in their heads that saying sorry or thanking someone one makes you lower than that person. Honestly, these people are sadly mistaken. I believe we must treat people as you would like to be treated. So, good manners are just a way of showing other people that we respect them. However, common courtesy and good manners today has ceased with many people. It is a very rare sight to see someone sincerely thank or apologize to someone these days. Truly, our world is in a sad state. There are only a few things that make us different from animals. Being courteous and kind to others is one of them. So please, stop and be polite to others. Manners cost you nothing. Usually, when people encounter the word “gamer”, the first thing that comes to their mind is some geeky kid sitting in his parent’s basement all day blowing something up (virtually). Yea, gamers are also stereotyped to be guys for some reason. Also, many people consider gamers to be friendless people who are afraid to face life and hence, are always “living” in a virtual world. Gaming is considered a waste of time by a lot of people. It is considered a form of addiction. The term “Video-Game Addict” has been coined to generalize this segment of society. But wait, what about music addicts? What about television addicts? Sure some people play video games for hours at an end, but a lot of people watch television for unnatural hours too. “Hold on, at least you learn something from T.V!” is what a “responsible member of society” would tell you. Well, I’m not disagreeing with that point. Sure you learn a lot of things from television, but so do you from video games! For example, I learnt a lot about World War 2 from the Medal of Honor series. I learnt the basics of handling a home from the Sims series. Sure they aren’t accurate representation of the real world, but so isn’t T.V. Besides, learning something is better than learning nothing. 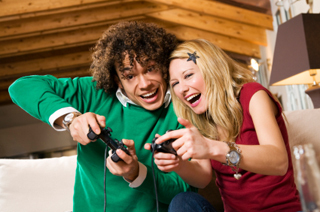 Gaming, specifically online gaming, introduces you to various cultures too. You meet people from different parts of the world and from different walks of life. Tell me, isn’t it much better to learn about Japan from an actual resident of Japan who lives and breathes the air of that land? Gaming is also an excellent stress buster. It provides a safe outlet to people to express their aggressive tendencies, without actually hurting anyone. Gaming also opens doors to new worlds to people. Ask any Role-Playing Game enthusiast, the feeling you get when you traverse through a dragon infested forest with a darkly lit sky contrasted by the rays of a moon which is blood-red in color looking for lost treasure is something totally out of this world! Truly, gaming is something totally unique! A lot of people ask gamers, why do you game? Well, I have answered that question above with examples. If you notice carefully, there is something that connects all of the examples above. It’s fun. Gaming is such a positive experience! Not enough people make fun a priority in life. Everyone is busy solving problems and being stressed out. I am not saying that you must shun your responsibilities. No absolutely not. However, you must know how to let loose once in a while. For me and millions of other people worldwide, gaming helps us make fun a priority in life!